I had to squeeze in one last winter inspired look of the season. Now that spring is here I can't wait to do some more fun colorful looks. But, this look features an "edgy" look for me. I received this jacket a while ago from my Aunt for Christmas and it's the perfect jacket to add a little bit of edge to my normally classic style. This leather jacket is a little more unique because it is a gorgeous emerald color. The best part about this jacket is you can zip off the sleeves to make it a vest! I paired this leather jacket with a simple crisp white button down. I'm always trying to find new ways to wear my white button downs. In this case I paired it with a tougher jacket and a structured skirt to create a unique look. 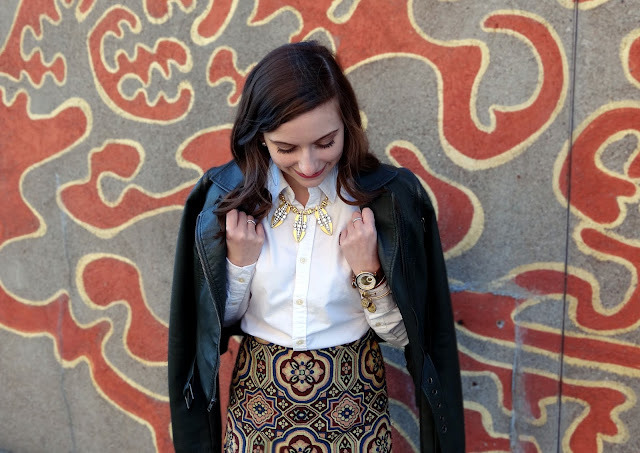 Also, I wore a bold gold J Crew statement necklace to add extra interest to the ensemble. In my opinion, everyone needs a simple classic white button down to fit their personal style. My white button down is from Ralph Lauren Polo which appeals to my preppy sense of style. But, there are plenty of different white shirts out there and they are a staple in any women's closet! 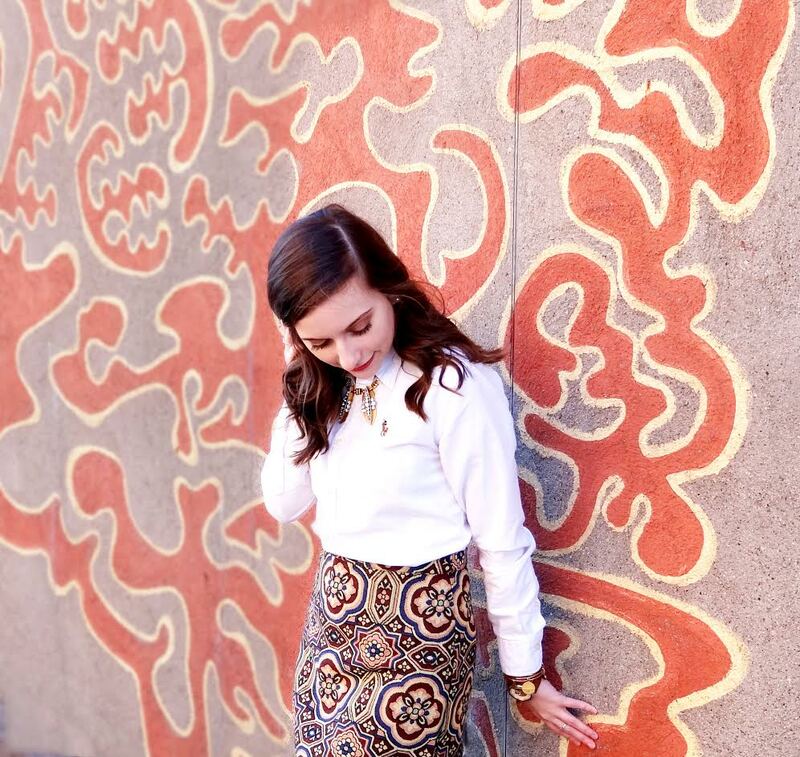 This tapestry inspired skirt from Topshop is one of my favorites! You can easily transition this into spring with a lighter top, ditch the tights, and wear flats or a pair of ankle booties. I hope you enjoyed this last winter look! I can't wait to create more spring content with fun and bright colors! 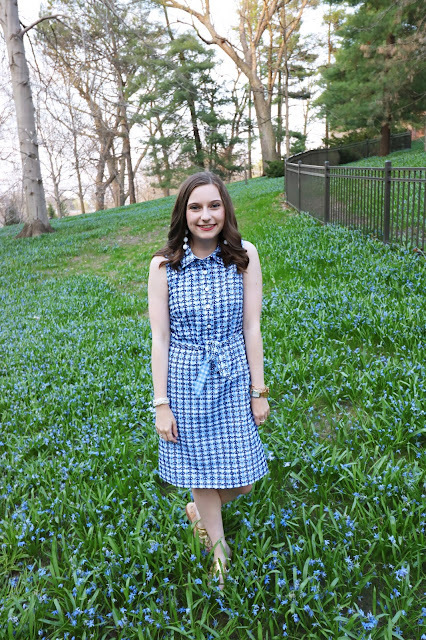 What spring posts do you want to see? Let me know in the comments! 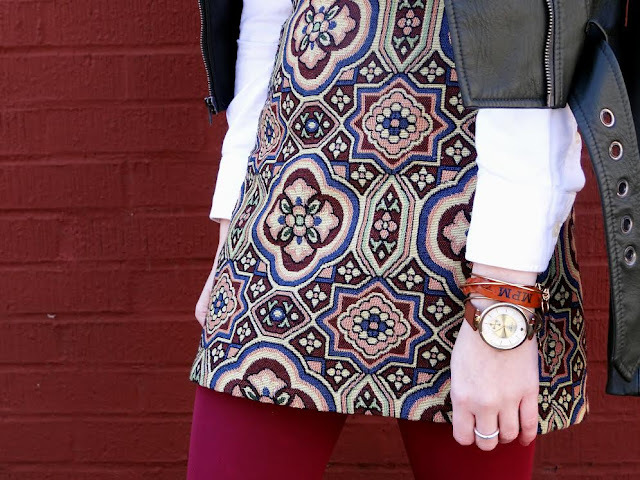 I ADORE that skirt, and I absolutely love this look. I can't believe how well this all went together, but that white shirt and leather jacket is a stunning combination. I am SWOONING over your skirt girlfriend! So gorgeous. 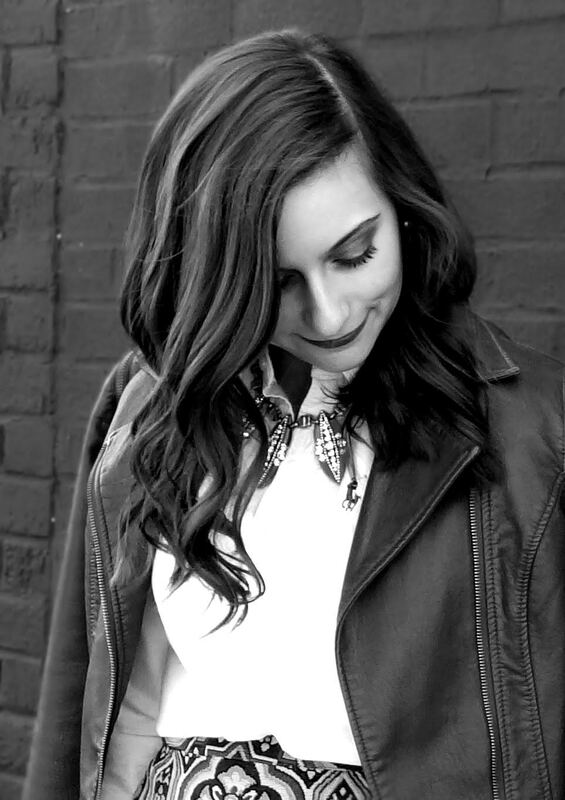 I agree with you, a classic white shirt is a wardrobe staple and every women should have one in their closet! Love this look and the fun leather jacket!